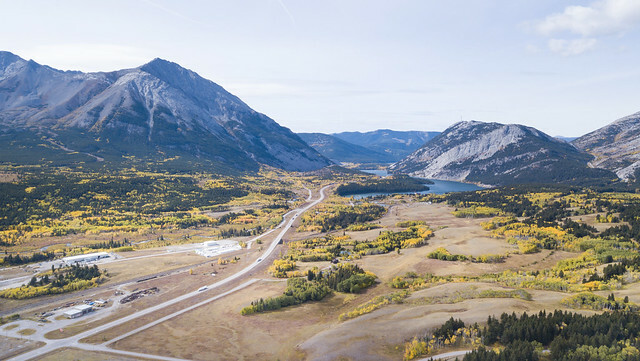 In honour of the late former premier Jim Prentice, the Government of Alberta is contributing to the Nature Conservancy of Canada’s efforts to protect a critical wildlife corridor in the Crowsnest Pass. The Nature Conservancy of Canada (NCC), the Prentice family, and the Government of Alberta have announced a campaign to protect a critical wildlife corridor in southwest Alberta. The corridor will be named in honour of Prentice. The Alberta government will provide $1 million to the NCC to go towards purchasing the private lands needed to make this wildlife corridor a reality. The province also pledges to protect seven sections of Crown land in the corridor. The Jim Prentice Wildlife Corridor is in the Crowsnest Pass, between Crowsnest Lake and the Town of Coleman. The corridor is roughly five kilometres wide, from east to west. It will connect Crown forest reserve lands in the north to the Castle parks network (consisting of Castle Provincial Park and Castle Wildland Provincial Park) created by the Government of Alberta in 2017, as well as to Waterton Lakes National Park and Glacier National Park to the south. The Crownest Pass provides a natural funnel for wildlife travelling through the Rocky Mountains in Canada and the United States. However, wildlife mortality rates have been increasing in the region due to more vehicle traffic on Highway 3 and ongoing development. The Jim Prentice Wildlife Corridor will link to the adjacent parks and protected areas while enhancing protection for the animals that call this region of Alberta home, such as cougars, grizzly bears, deer, elk and moose.